Hello….good day sir|madam.please has the masters program in heakth economics and policy been launched for the 2018|2019 academic year?? Hello.can one be admitted into the faculty of economics and management sciences without o/l mathematics? Good day i wished to apply for medicine and surgery, but can i be enrolled with D7 in english, biology, chemistry and F9 in physics, would that be possible? Good day i wished for medicine and surgery, but can be enrolled with D7 in english,D7 in biology, D7 in chemistry, would that be possible? I ones read in a fly out that UBa offers custom duties. that’s they train students to be custom officers. please I wish to know the requirements and it’s faculty. 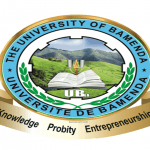 Good day just wish to ask this question , can be admitted in the university of Bamenda without English? If yes what are the procedure to follow? hi please I wish to inquire if a holder of the GCE o/A levels and have English language at the O-level and mathematics at both the o/A-levels but have just 4 papers at the ordinary levels and wish to study economic under the department of economic and management sciences. pls i wish to ask if those who applied last acedemic year and are havx a matricule but never came back to school after the crisis are we suppose to apply again this acedemic year?